Scott Elmquist Brittanny Anderson, chef/owner of Metzger Bar & Butchery. The James Beard Award semifinalists have been announced and this year, two Richmonders got the nod. 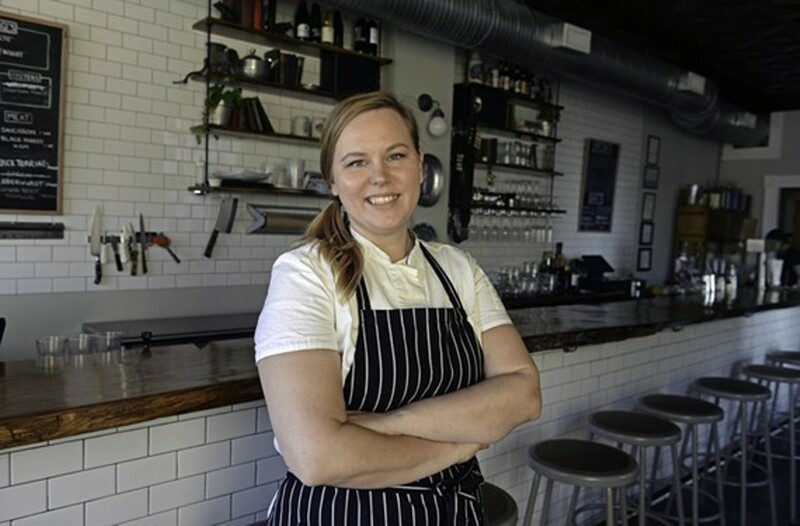 Brittanny Anderson, chef and owner of Metzger Bar & Butchery, was nominated for the Best Chef: Mid-Atlantic award. The restaurant’s German-influenced cuisine also was chosen as Style’s restaurant of the year in 2015. Brittanny is a native Richmonder and comes from stints at New York’s Blue Hill at Stone Barns and Northern Spy Food Co. The second nominee is Evrim Dogu of Sub Rosa. He’s been tapped as a semifinalist for the best baker award. Sub Rosa Bakery has been mentioned in a plethora of major publications, such as Esquire, Food & Wine and Saveur, along with the two big U.S. newspapers, the New York Times and the Washington Post.